Abbas’s spokesman welcomes France’s peace efforts, while accusing Israel of refusing peace. Palestinian Authority (PA) chairman Mahmoud Abbas’s spokesman on Wednesday welcomed France’s peace efforts, while accusing Israel of refusing peace. The spokesman, Nabil Abu Rudeineh, made the comments as France announced it would convene an international peace summit on December 21. 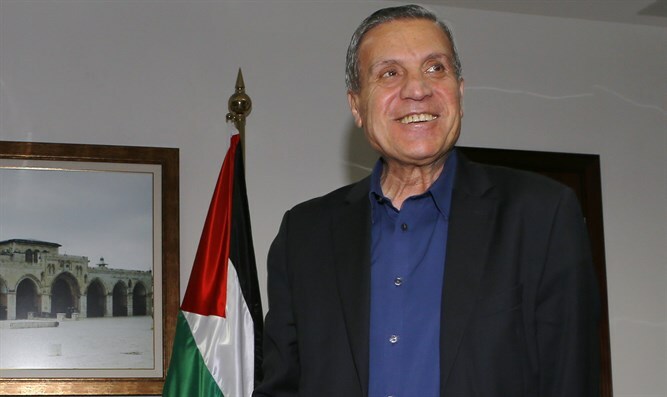 Abu Rudeineh said the Palestinians believe that the Paris peace conference is an important event that all parties should take advantage of in an attempt to revive the peace process. He added that the PA leadership will respond positively to all of France’s diplomatic efforts in an attempt to mediate between the two sides. "Israel," charged Abu Rudeineh said, "refuses peace while it continues to build illegal settlements, which proves once again that Israel is not serious about putting an end to the instability and tensions that are the result of Israeli policy." Earlier on Wednesday, Prime Minister Binyamin Netanyahu rejected the possibility of a meeting with Abbas at the France-led peace conference later this month, though he did stress to French President Francois Hollande that he was willing to meet Abbas face to face and without preconditions. Israel has long opposed the French initiative, saying that the only way to reach a peace agreement is through direct talks with the PA. The PA, however, refuses direct negotiations with Israel and has instead chosen to impose preconditions on such talks. Just recently, Abu Rudeineh yet again imposed preconditions, this time insisting that Israel accept the French initiative before direct talks can take place.